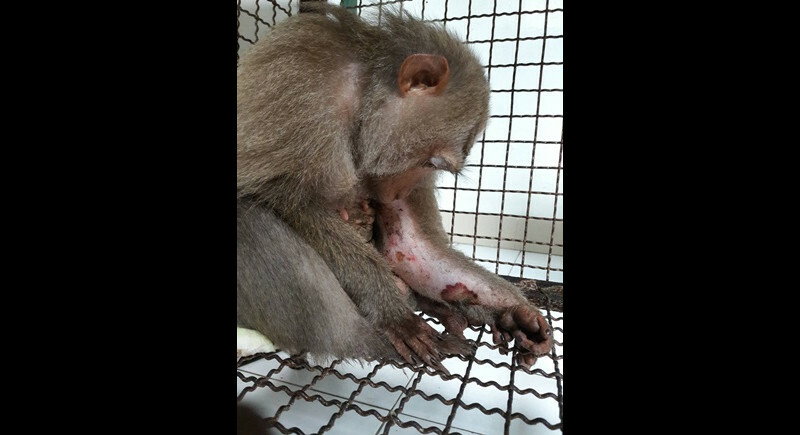 PHUKET: A pig-tailed macaque is now in recovery after suffering an electric shock at an area behind Surakul Stadium in Phuket Town on Saturday (Sept 16). After giving the macaque first aid treatment at the scene, Kusoldharm rescue workers took animal to Phuket Animal Hospital in Wichit. A veterinarian from the hospital gave the macaque medicines to help relieve inflammation and pain and also stitched wounds it has sustained.